Blake Kruithof was born in Tulsa, but moved to Perkins, Oklahoma in middle school. Perkins is a small town, just 10 minutes away from Stillwater, home of the Cowboys. 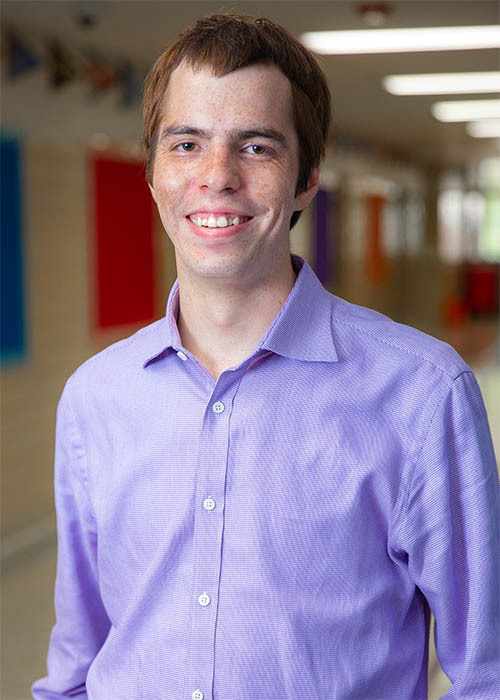 He graduated from Oklahoma State University in 2018 with a Bachelor’s degree in Mathematics with a minor in Philosophy and a certification in Secondary Education. Before coming to THA, he taught Geometry and Algebra 2 at Stillwater High School. Mr. Kruithof's role at THA is 8th grade Algebra 1 and Honors Geometry.